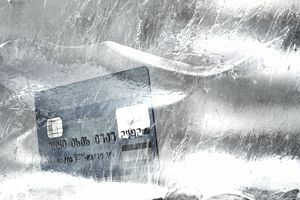 After one of the three major credit bureaus suffered a massive data breach, many consumers realized the need to freeze their credit report to protect themselves from identity theft and fraud. According to data provided by CreditSesame.com, Millennials have the highest rate of freezing their credit reports with 12.2 percent freezing their account. The Silent Generation––those born between 1925 and 1942––are least likely to freeze their credit report. Freezing your credit report, or adding a security freeze, locks your credit report to inquiries from new companies. When your credit report is frozen and a thief tries to apply for credit in your name, the application will be turned down because the business can’t check your credit. Freezing your credit reports from all three major credit bureaus is best for maximum protection. It’s now free to freeze and unfreeze your credit report. A new law requires credit bureaus–– including the three major credit bureaus Equifax, Experian, and TransUnion––to allow you to place or lift a credit freeze for free. Before the law went into effect, each credit bureau charged up to $15 to freeze or unfreeze your credit report. The new law also requires credit bureaus to remove a credit freeze in an hour––as long as you make the request online or by phone. Credit bureaus have come out with their own lock/unlock subscription features that consumers could easily confuse with a credit freeze. The subscription can be tempting since it's often promoted with other convenient credit services like credit monitoring or additional credit reports. However, using a credit bureau lock service may bind you to their terms and provide less legal protection than you'd receive through a regular credit freeze. Unfreezing your credit report––also known as thawing in the credit industry––is a temporary left of the freeze for a specific period of time. This allows you to make your applications in the short window before your credit freezes again automatically. Permanently removing the credit freeze is known as lifting the credit freeze. You’ll have to specifically request to add the credit freeze again if you want to protect your credit against unauthorized credit inquiries. You should unfreeze your credit report when you’re getting ready to apply for a credit card or loan. With a freeze in place, the credit card issuer or lender can’t pull your credit report to determine whether you qualify for the loan. And without your credit report, your application may be denied. It's also a good idea to unfreeze your credit report before going house or apartment hunting. Whether you’re renting or buying, you’ll likely go through a credit check. Utility companies will also check your credit when you’re establishing new services after you move. Shopping for a new phone also requires a credit check unless you’re planning to pay for the phone in cash upfront. Most cell phone providers allow you to pay for your new smartphone in installments, often with no interest, but they check your credit first to figure out how much you must pay down. This goes for non-prepaid cell phone service plans too. If you’re planning to look for a job soon or if you’re up for promotion, unfreeze your credit report. You’re more likely to go through an employment credit check for financial and upper-level management positions or a position where you’ll deal with a lot of money. Since you can't predict which of your credit reports a business might check, you should unfreeze all three. Make sure you allow enough time to complete your application process before freezing your credit reports again. When you're ready to unfreeze your credit report, you have a few options. You can do it online, by phone, or by mail. Unfreezing your credit report online or over the phone are the faster options. Make sure you have the PIN that was provided to you when you first placed the freeze on your credit report. Unfortunately, if you lose your PIN, you may have to request a replacement PIN by mail, sending along proof of your identification. This would slow down your application process. Otherwise, unfreezing your credit report is relatively simple. Fewer than 10 percent of people who tried to unfreeze their credit report had trouble in the process. Gen X had the highest rate of issues with 8.4 percent having trouble. Only 2 percent of that generation froze their credit report and only 2.1 percent had issues when they tried to unfreeze their credit reports.